When writing a series, choosing both the point of view characters and point of view style are HUGE decisions an author must make. 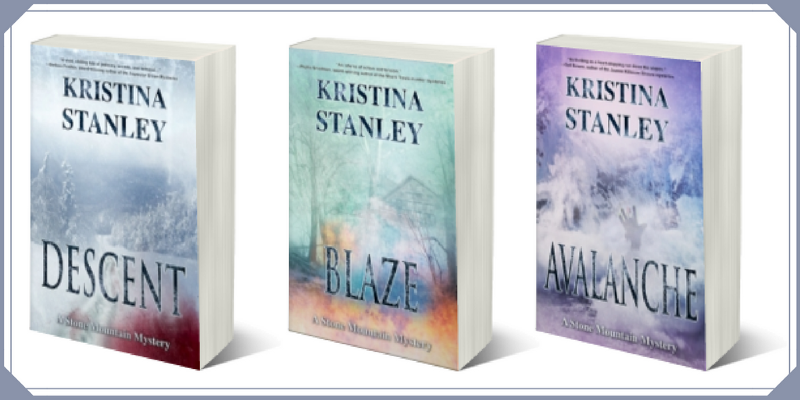 AVALANCHE is the third book in the Stone Mountain Mystery Series and was released in June 2016. When I first started writing the series, I thought I was writing a standalone novel. Of course my characters took over, and now I have a series. Early on, I decided to write in close third person from multiple points of view. Little did I know, that once I made that decision, I would have to stick to that for the rest of the series. 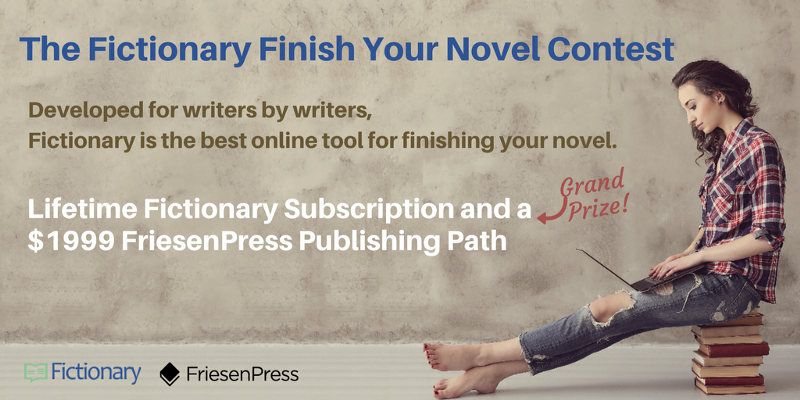 Here are two questions to ask yourself when you begin your novel. And when you ask these questions of yourself, don’t assume you’ll be writing a standalone novel. You just never know. 1. Do you plan to switch POV characters? If you’re going to have multiple POVs in your novel, it’s important to let your reader know this early on in the story. It could be jarring for a reader to get half way through a novel, and the POV is ripped from underneath their feet and a new character steps in. Changing POVs in the first few chapters will warn the reader this is your style, and hopefully, they’ll enjoy your book more. They’ll expect different characters to have their say, to drive the novel, and to provide surprises. They won’t get so attached to one POV character that they can’t bear the change and toss the novel aside. 2. What POV type will you choose? When you choose the type of point of view to write from, consider what it will take to be consistent for an entire novel or several novels. If you chose first person, do you stay in first person? Do you reference anything the first person character can’t possibly know? For third person, are you writing third person, third person limited, or omniscient? Once you make the choice, it’s important to be consistent and only change the style if you make a conscious decision to do so. For the second book in your series, follow the same POV pattern you used in the first. Your readers will expect a similar style and voice in the second and following books. 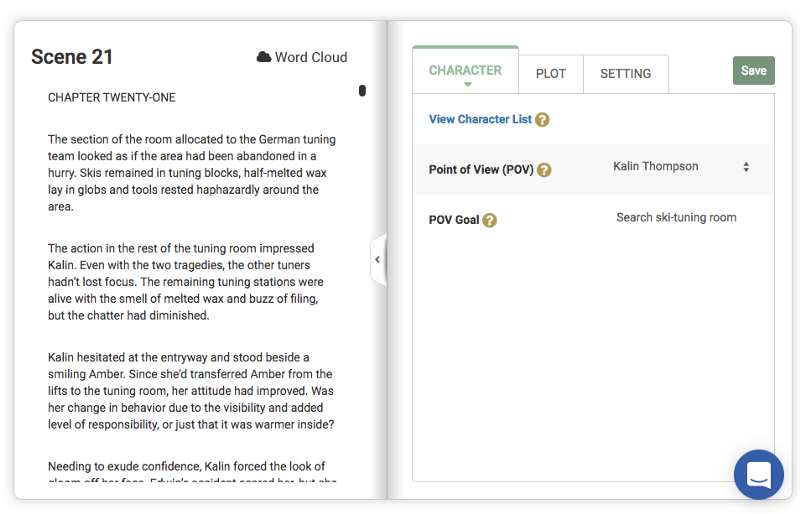 If you’ve written your draft from multiple points of view, Fictionary will help you make sure you’re making the best use of the POV characters. Who is in the scene and who is just mentioned? Who is the best choice for the POV character for the scene? What is the POV character’s goal for the scene? 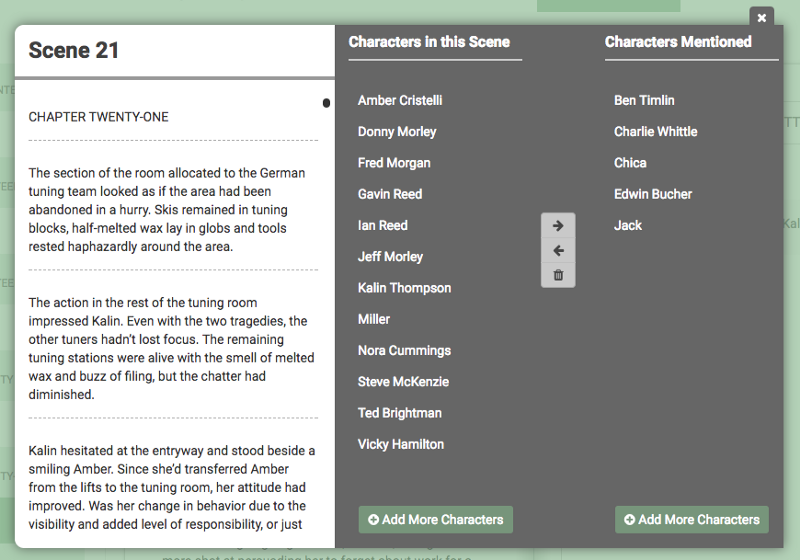 In Fictionary, you can visualize who is in each scene and who is mentioned. Seeing your character names will help you decide if you’ve chosen the best POV character for the scene. Who did you choose for a POV character and what is the goal? Here is an example of how to answer these 3 questions using my novel DESCENT. The characters in the scene are shown above. The point of view character is Kalin Thompson (she’s also the protagonist), and her goal is to search the ski-tuning room. Evaluate each scene to ensure the reader will understand the answers to the 3 questions. You can show, tell, or imply the answers. It’s up to you to find the right balance. The more important the event, the more you should show the reader what’s happening. The less important events can be told quickly, so the reader can move on to the good stuff. 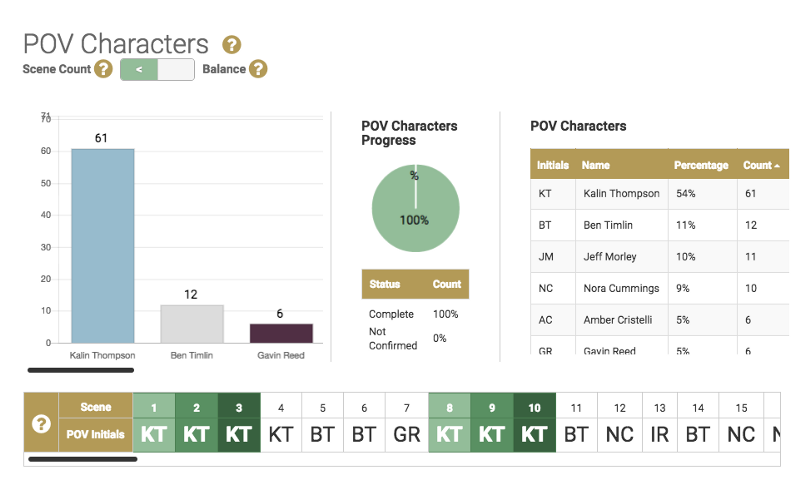 To help you visualize the balance of your POV characters, Fictionary shows you how many POV scenes each character has, the order they have the POV, and the percentage of POV scenes compared to other characters. Below you can see Kalin Thompson has the most POV scenes (good because she’s the protagonist), Ben has the next (also good because he’s her love interest) and so on. The initials on the bottom show you the order. The green means a character has had 3 scenes in a row where he/she is the POV character.